The Honeywell Dolphin 7600 has reached end of life. It has been replaced by the Honeywell Dolphin 9700. 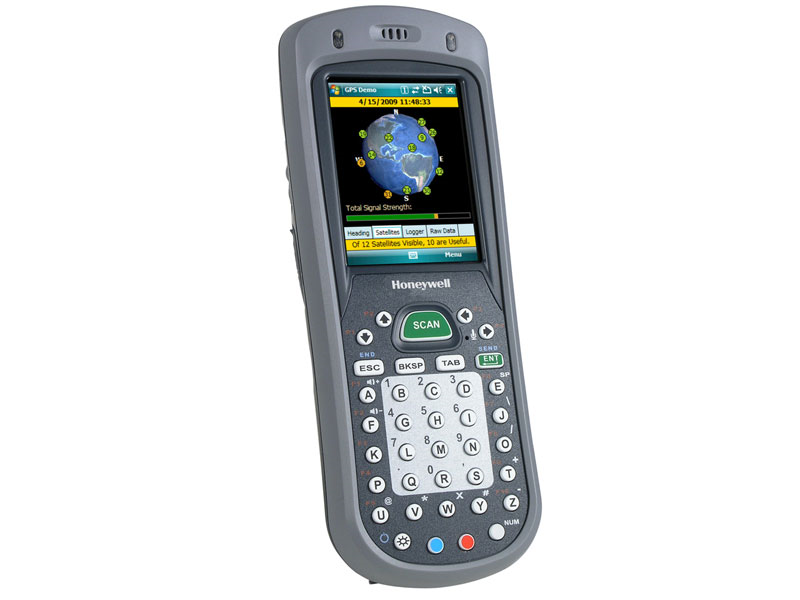 The Honeywell Dolphin 7600 mobile computer combines Honeywell's Adaptus imaging technology with world class communications methods, giving any mobile field crew a premier data management solution. 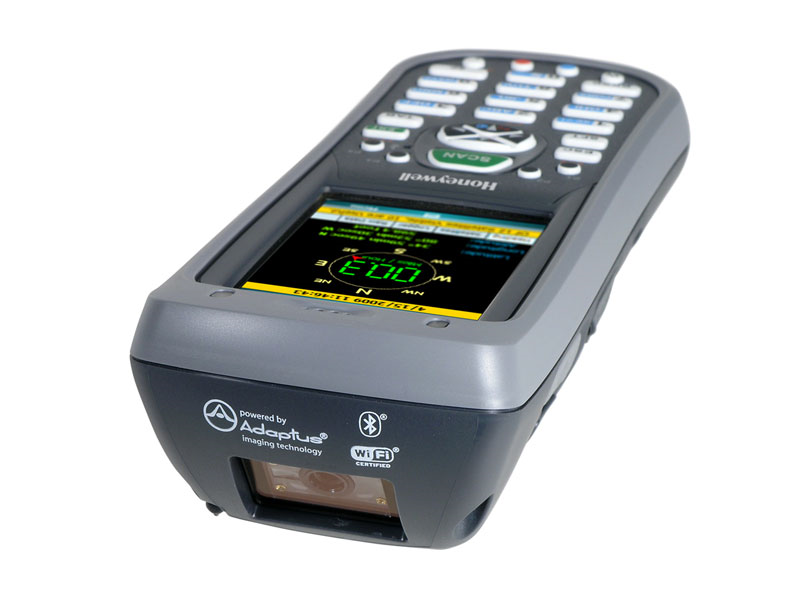 The Adaptus 5300SR area imager easily reads common 1D and 2D barcodes, as well as various composite codes, OCR, and postal codes. 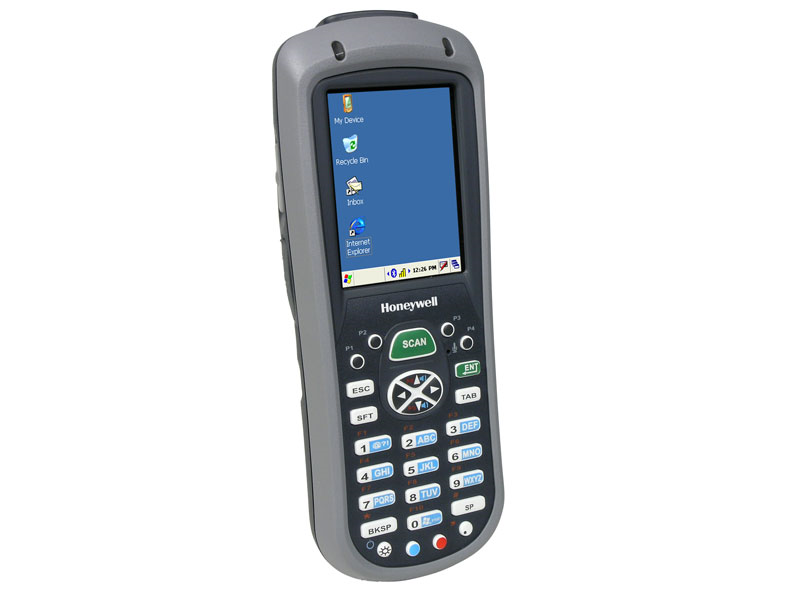 Communication is key in the field, and Honeywell packed the Dolphin 7600 with the technologies necessary to stay connected. Available with 802.11b/g WLAN, BlueTooth, or even Quad Band GSM/EDGE cellular communications capabilities, the Dolphin 7600 can keep both your field crews and home office up to date on the fly. Honeywell designed the Dolphin 7600 for minimal downtime, constructing the unit from high impact ABS plastic with a magnesium alloy internal chassis. The durable housing protects it from multiple drops of five feet to concrete, keeping the equipment safe from getting knocked off trucks or knocked out of hands. Sporting an IP54 seal, the Dolphin 7600 is sealed against windblown dust and splashes of water. The Dolphin 7600 comes with charging cable. We recommend 7600-COMM-KIT for a combined charging and communications method. Find it faster! Click here to compare Dolphin 7600 models by feature. IS-SM-1L-ML-KIT Stock Manager Mobile Inventory Software Kit - Includes one desktop and one device license. SVC7600-SMS5 Dolphin 7600 - 5-Year Warranty, 3-day turnaround, comprehensive coverage. SVC7600-SMS3 Dolphin 7600 - 3-Year Warranty, 3-day turnaround, comprehensive coverage. SVC7600ACC-SMS3 Dolphin 7600 HomeBase/ChargeBase/NetBase - 3-Year Warranty, 3-day turnaround, comprehensive coverage. SVC7600ACC-SMS5 Dolphin 7600 HomeBase/ChargeBase/NetBase - 5-Year Warranty, 3-day turnaround, comprehensive coverage. 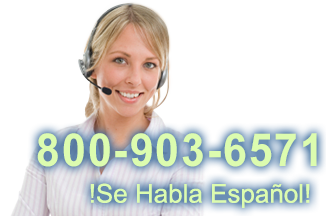 E-SVC7600-SMSr2 Dolphin 7600 - 2-Year Warranty, 3-day turnaround, Renewal of SMS.